When I met Danielle Rodriquez a few weeks ago after a talk in Tempe, Arizona, at Arizona State University, I was impressed. Not by the fact that she has already completed internships at awesome organizations like The Walt Disney Company, but by her passion, purpose, and personality. You see, Danielle is closing in on graduating from the W. P. Carey School of Business, and she isn’t waiting to send out resumes. She has been marketing her professional brand a lot of ways, and after taking my advice, now she can add publishing on LinkedIn to her career-seeking arsenal. You can read her post here. Publishing on LinkedIn is one of the two biggest secrets on LinkedIn for students. And students should start writing now! When I was visiting ASU, I challenged the students that day to write! It is as easy as clicking a button. Literally, click the “Publish a post” button. (Get some advice on LinkedIn Student Publishing here). And they are responding. 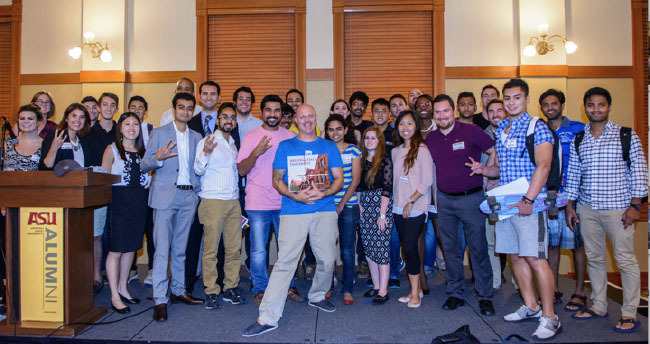 I am now following dozens of ASU students on LinkedIn and many are my favorite reads! If you need more help this guide is excellent, and if you are searching for a theme, we have made that easy as well. Check out our Student editorial calendar. Want further inspiration? Read ASU Student Mat Sherman discuss his thoughts on college entrepreneurs. A week before my ASU stop, I showed up at North Carolina State University for what I thought would be a tiny classroom session with a few students. I didn’t expect a full house. And I didn’t expect Lauren Brommer and her group to greet met me at the door, clearly ready to create an awesome experience. I didn’t anticipate the aroma of Bo Jangles Bo-Berry biscuits, nor a sold-out venue. It was impressive. Lauren Brommer knows how to market events and you can read her post on the topic here. The discussion was lively and centered on the second biggest secret on LinkedIn for students, the alumni tool. This tool gathers data from the profiles of more than 380 million members, and helps you explore alumni career paths from more than 24,000 colleges and universities worldwide. Most importantly it helps you build relationships that can help you along your journey. The key questions from students at ASU, at NC State, and well everywhere I go are the same. The alumni tool solves for this rather nicely. You see, unless your parents or their friends have a lock on a job for you (and yes you should connect with them) your next best bet is alumni connectivity. Go explore the tool. You will notice it allows you to narrow down alumni of your school by where they work and live, what they studied, and the current skills they possess. Most alumni will gladly respond to a connection request from a student or new grad that has a shared alma mater. For example you want to work in marketing at Citrix in Raleigh, North Carlonia, and you currently attend North Carolina State University? That’s easy. Step 1: Navigate to the tool from your LinkedIn drop-down menu (My Network>Find Alumni) or just go here. Search for North Carolina State University and click on Students and Alumni. Note you are now looking at a visualization of the careers of over 122,000 NC State alumni! Step 2: Pare down the result set. Scroll down to see Citrix under “where they work” and if you can’t find the company you are looking for click the search icon. Now that you have pared the list down from 122,000 to 161 you can look at what they studied, what skills they have, and how your are connected. Step 3: Connect! This is the hardest part. But here is my advice: just do it! Send a thoughtful, succinct request. And who knows you may end with your dream job before you even graduate! LinkedIn was built based on the belief that relationships matter to build a satisfying life and successful career post college, and university career and alumni departments can benefit tremendously by using our platform. 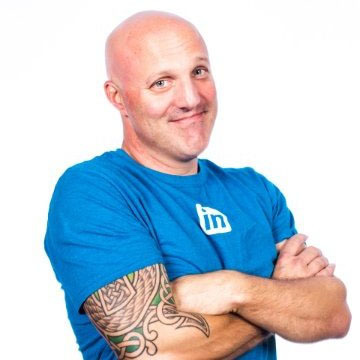 Teaching your students and graduates to harness the power of alumni connectivity, coupled with the power of engaging their network with publishing, are the two best kept secrets on LinkedIn. Begin building your personal brand by publishing on LinkedIn. Get started with the LinkedIn Publishing Playbook.